In seasons all, including fall, along the path you’ll sail. Just look around, with ear to the ground, and such sounds you will surely hear. Just close your eyes, to your surprise, there’ll be whistles from the distant past. The birds are back, some joyfully quack, and we hear the meadowlark. Now back to the sights, in the glimmering lights, what else is on the trail? There’s fox about, and the odd coyote, and we’ve even seen a quail. But caution make, if the hike you take, is close to our porcupine. And they’re all quite true, so we know that you, will learn them without fail. He’s always there, approach with care, note the twinkle in his eye. Get out on the trail, you’ll not be pale, the beauty out there you’ll like. 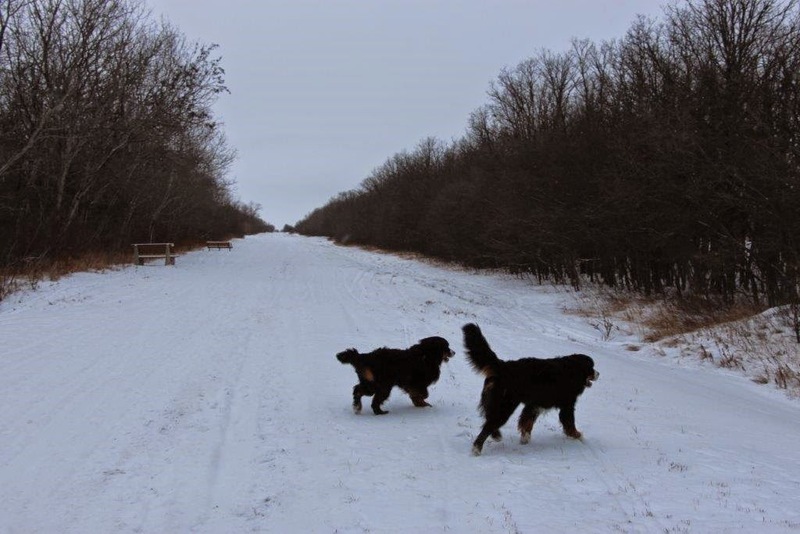 Who loves the trail, and wags his tail, and sends this to Marley’s blog. Composed on a cold January day in Headingley-–with apologies to Robert W. Service, author of ‘The Cremation of Sam McGee’. January 11, 2015. 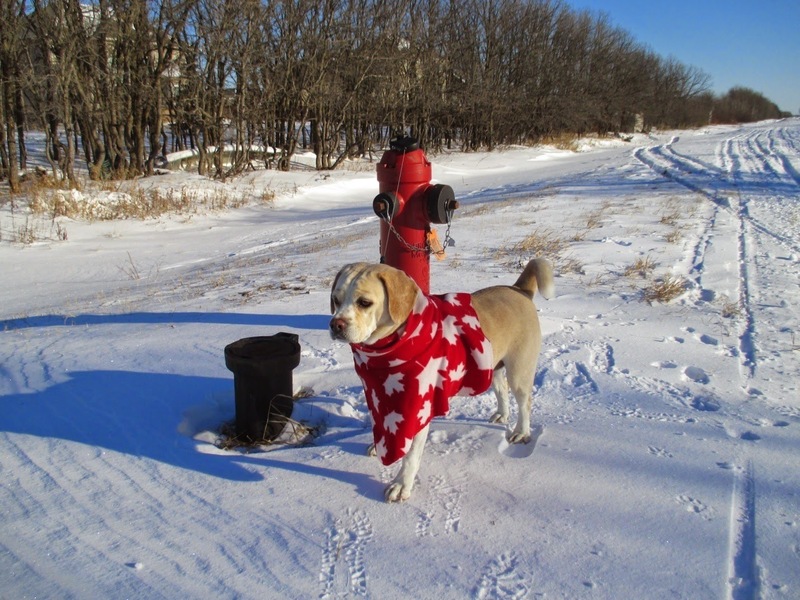 Diggy enjoying the HGTT hydrant at Breezy Bend, only minus 25 C.
Note what a difference a year makes. 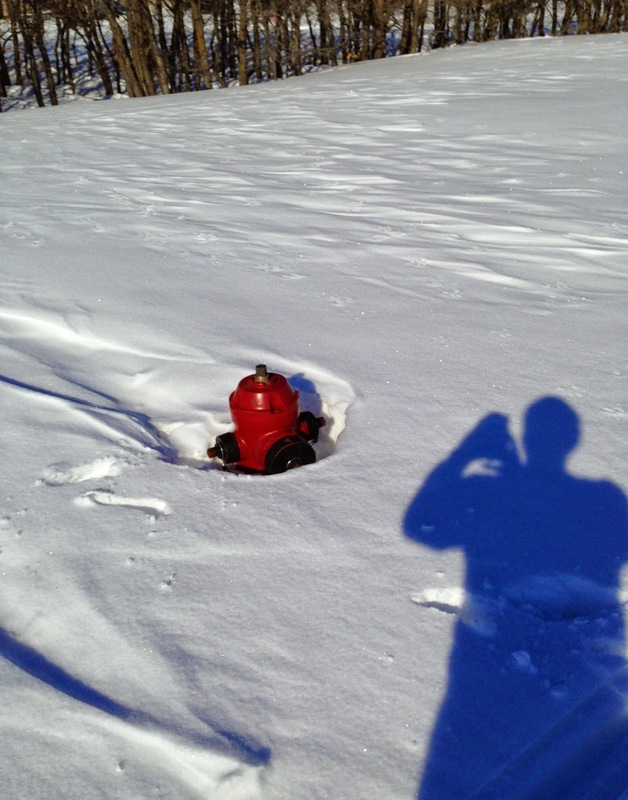 Last winter the hydrant was almost covered with snow. Winter of 2013-2014. Hydrant almost buried. Awkward usage for dogs. Winter of 2013-2014. 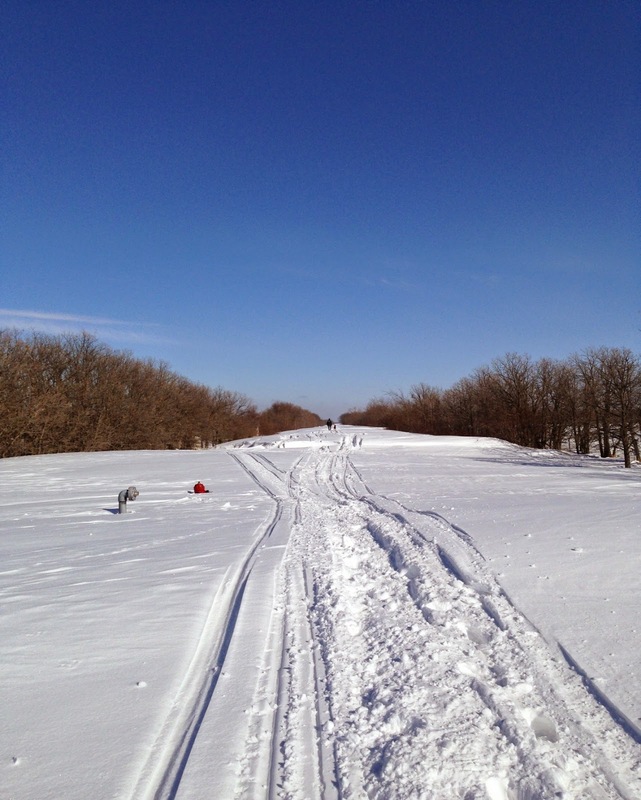 Lots of snow on the HGTT. Hutton dogs Boxing Day 2014. Not much snow compared to last winter. 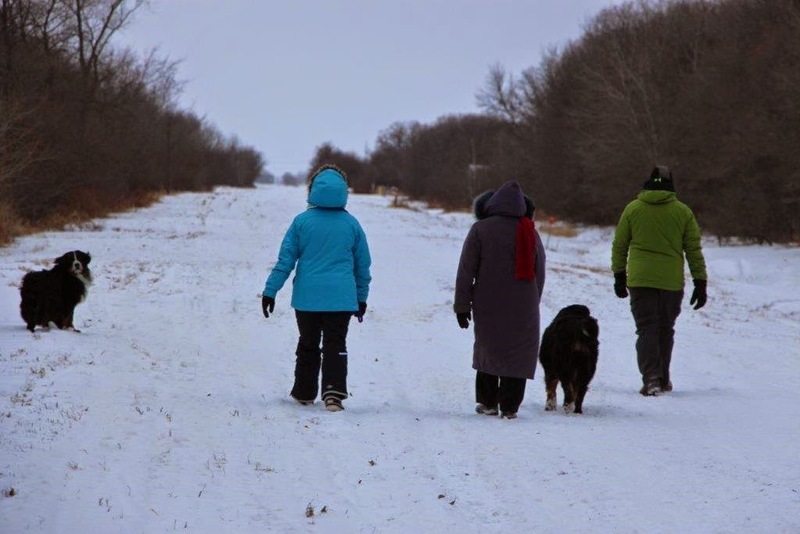 Huttons and dogs on the HGTT Boxing Day 2014.